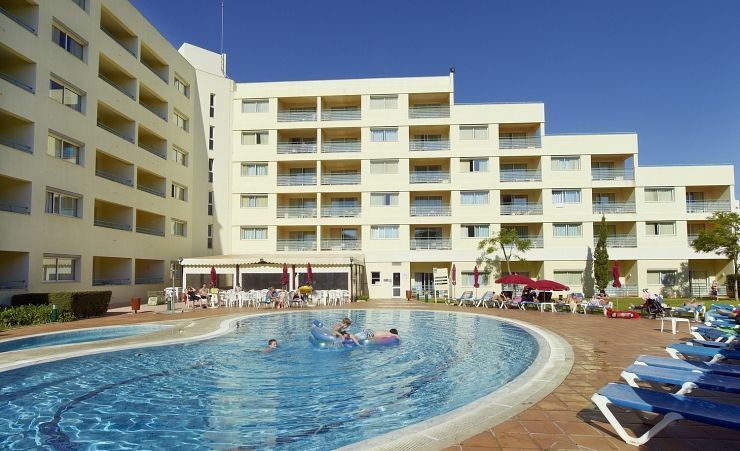 For a perfect location, near the beach and within easy reach of the bustling resort of Albufeira, the Alpinus Hotel (formerly known as the Luna Alpinus) is a great choice for your Algarve holiday. 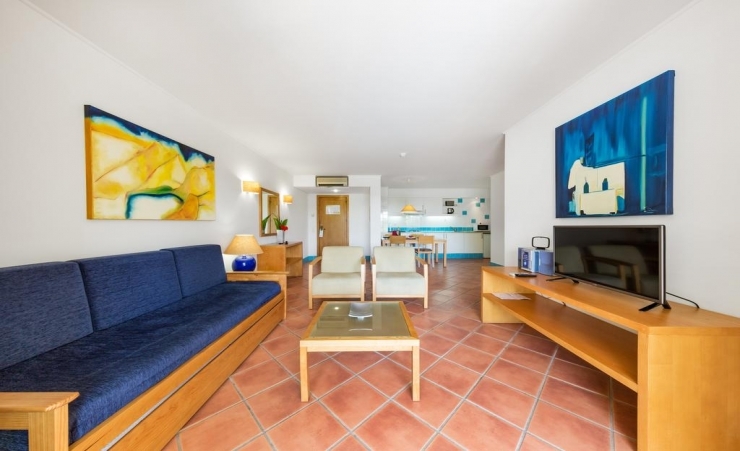 Here you'll find modern, four star hotel accommodation, set in stunning gardens. The popular Falesia beach is just a mile away and offers a range of watersports to keep you entertained. 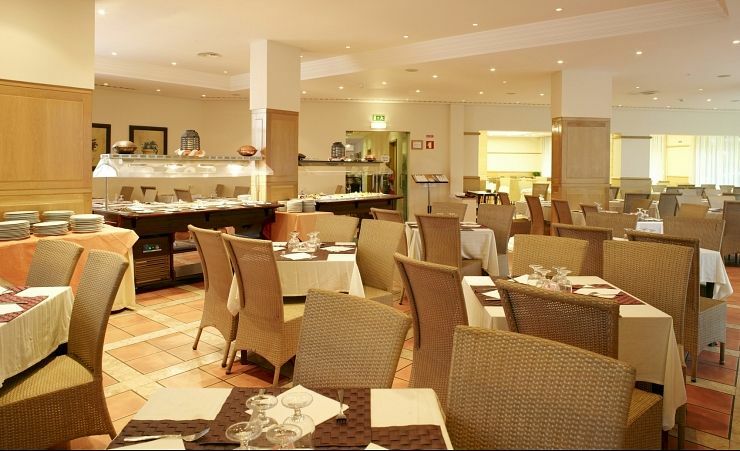 Albufeira, with its enviable choice of restaurants, bars, cafes and nightlife is just five miles away and is easily accessible by local bus on those days when you fancy a change of scene. 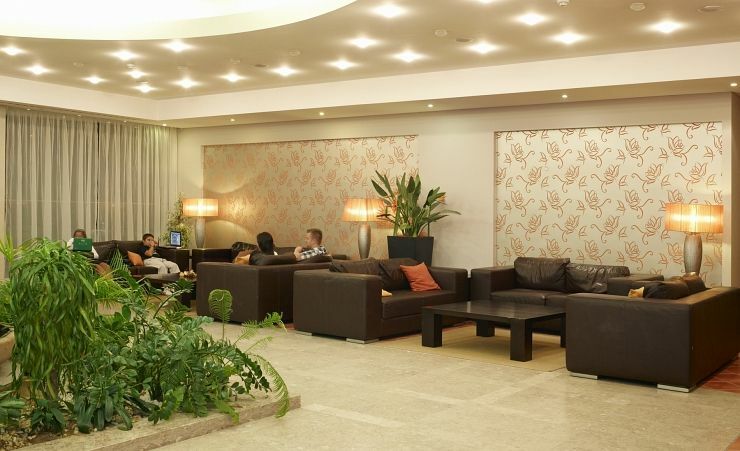 As soon as you arrive, you'll feel right at home at the Alpinus Hotel. This is a bright, modern and welcoming four star hotel that puts guest comfort as the highest priority. 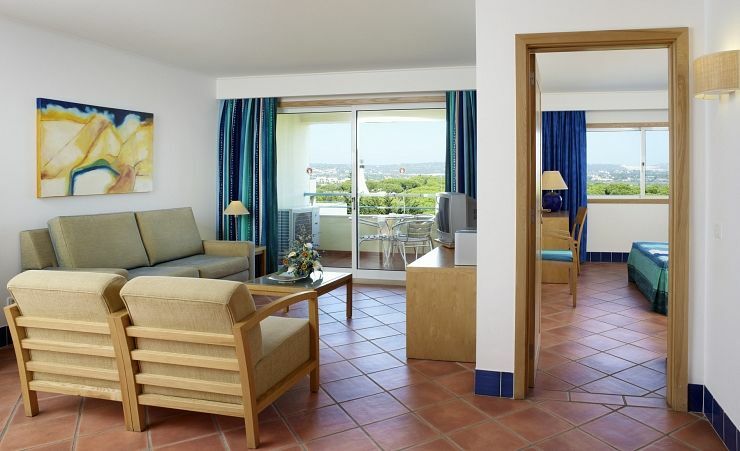 Set amongst well-tended gardens with shady pine trees, this hotel has all the ingredients you need for a fun holiday in the Algarve sunshine. Guests can enjoy a choice of four swimming pools with plenty of space to lounge nearby and work on that all-important holiday tan. There's also a relaxing bar and a coffee shop when you're in need of liquid refreshments, plus a delightful restaurant serving a choice of delicious meal options to suit every taste. For those looking to stay connected while on holiday there is free Wi-Fi throughout the hotel. When you're looking for things to do, why not take a ride out to nearby Falesia Beach where you can take your pick of the watersports on offer including sailing, diving, windsurfing and jet skiing. 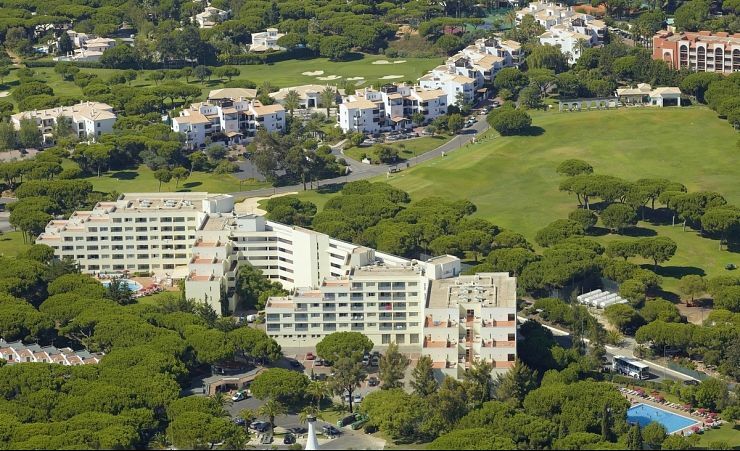 Or for a few hours exploring the shops and markets, cafes and bars - or even a night out clubbing - head to the vibrant resort of Albufeira to discover lots of entertainment options. After a busy day relaxing and having fun, you'll be delighted to retire to your comfortable suite with its air conditioning, balcony and private facilities. 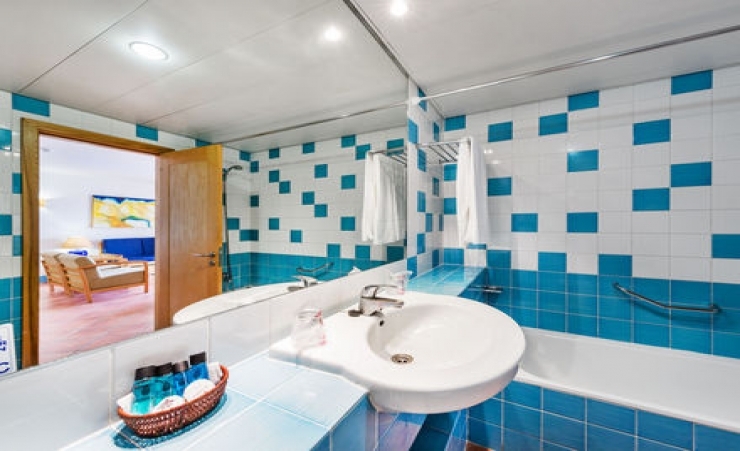 Accommodation at the Alpinus Hotel is well-appointed and spacious with a sitting area with satellite television, CD player and radio, as well as a fully equipped kitchenette and fridge. Breakfast, lunch, dinner and snacks daily. Soft drinks, water and locally produced beer, wine and spirits. Time and measurement stipulations may apply. 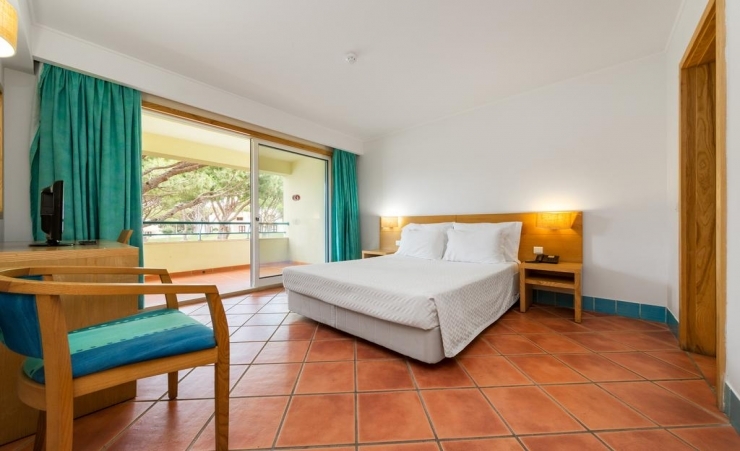 Find out more about your accommodation and the in room facilities at the Alpinus Hotel . A great holiday, wonderful and friendly staff. Superb Hotel spacious rooms clean and tidy along with wonderful meals and top class service from all staff. Thank you for making us feel really welcome all week loved the experience and will look to visit again. We have travelled with you before and wouldn't hesitate to travel with you again. Very happy with the service of Mercury. A good hotel and the apartments were pleasant and comfortable. All the staff were very helpful ,friendly and provided very good service. The apartment , if a little tired, was huge, well equipped , with very clean bedding and towels. The all inclusive buffet was ample if a little repetitive over two weeks, and there was little to choose from in the desert section. The bar area and the entertainment was not good. Although they did seem to provide quite popular entertainment for children. Spacious accommodation. Very good service. Really a 3* hotel. Hotel is a bit out of the way so good job we hired a car. However, some lovely country walks from the hotel down to the beaches and resorts. Hotel bus twice a day to Albufeira and also local buses pass the hotel. Train station only 3 miles away - had a lovely trip by train to Lisbon. Staff are very friendly and helpful. I have food intolerances but this was no problem to restaurant and kitchen staff. Good heating in the rooms which was important as we had a couple of chilly days. On the whole though, weather was better than we expected for the end of February.